SACRAMENTO – Mar. 2, 2016 – Mary Kay Independent Beauty Consultants and domestic violence prevention advocates gathered at the California State Capitol for ‘Policy Advocacy Day 2016’ sponsored by the California Partnership to End Domestic Violence. The group met with lawmakers to discuss the critical importance of legislation that supports domestic violence survivors and victims. 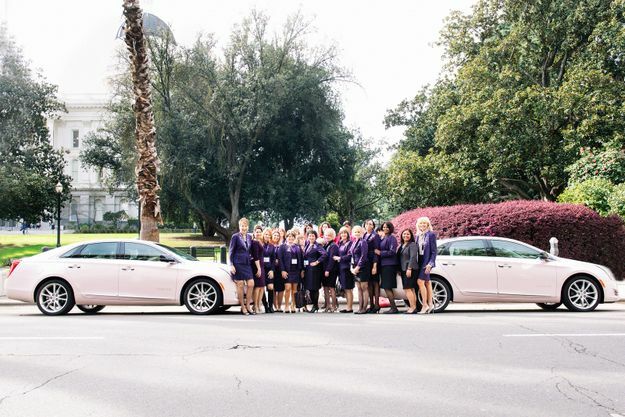 The effort is a part of Mary Kay Inc.’s ‘Lobbying for Good’ initiative. Independent Beauty Consultants and other attendees spoke with legislators about the essential steps that need to be taken to protect victims. Agenda items included a financial commitment by the state to fund domestic violence services and prevention efforts, as well as domestic violence survivors’ economic security needs. Advocates reminded lawmakers that economic concerns are the most common reason for survivors to return to abusive relationships.